UPDATED: Sun., Aug. 12, 2018, 10:05 p.m.
LAKE ELSINORE, Calif. – Aided by slightly cooler temperatures, firefighters made steady progress Sunday in battling a wildfire that destroyed 16 structures as it raged through Southern California’s Cleveland National Forest. The Holy fire – named for Holy Jim Canyon, where it began last Monday – is one of nearly 20 blazes burning across California as the state sees earlier, longer and more destructive wildfire seasons because of drought, warmer weather attributed to climate change and home construction deeper into forests. 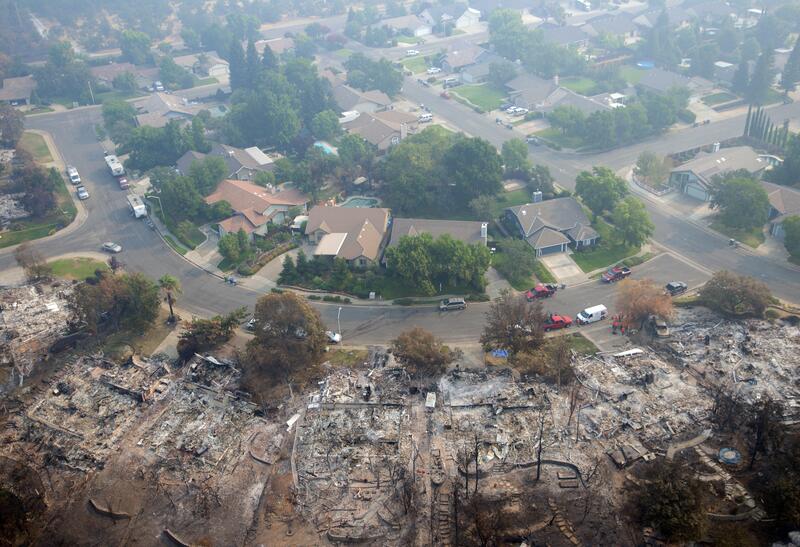 Elsewhere, the largest wildfire ever recorded in California – the Mendocino Complex – burning north of Sacramento destroyed more than 100 homes. It was nearly 70 percent contained. On Sunday, it had covered 525 square miles. Published: Aug. 11, 2018, 10:34 a.m. Updated: Aug. 12, 2018, 10:05 p.m.